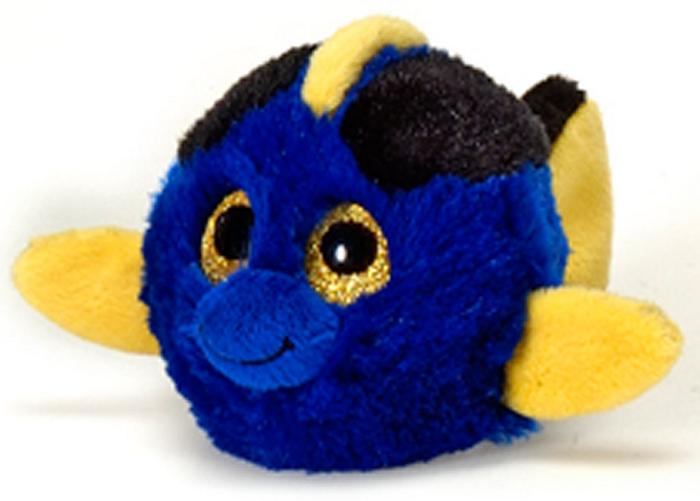 Dizzy, this adorable plush blue tang fish from our Lubby Cubbies collection, is ready to spark hours of imaginative play and adventure. 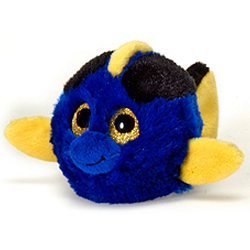 With soft royal blue fur and stylish black stripes, this blue tang fish stuffed animal has bold yellow fins, an embroidered smile, and big, tear-drop shaped, sparkly golden-yellow eyes that will melt your heart. Banjo is an adorable plush black bear with soft and shiny black fur, an embroidered smile, and sparkly golden eyes. This adorable Angel Fish fabric wall art is a wonderful customizable addition to any underwater adventure or ocean paradise themed room.